As part of our online apologetics and discernment labors Apprising Ministries been documenting the New Downgrade within evangelicalism, which accelerated when its own mainstream made the fateful decision to more fully embrace the sinfully ecumenical Emergent Church aka the Emerging Church. Now upgraded to the Emerging Church 2.0, it actually has its own new postmodern form of “big tent” Progressive Christianity—a Liberalism 2.0—sometimes referred to by these rebels against the final authority of God’s Word as Emergence Christianity. The EC would prove to be a Trojan Horse where Satan has been able to off-load his ne0-Gnostic mystic corruption Contemplative Spirituality/Mysticism (CSM), an infestation of which is now becoming pandemic within the very heart of the church visible. 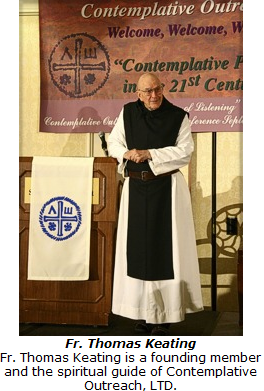 I’ve told you before that this spurious CSM—the refried Roman Catholic mysticism “discovered” by Living Spiritual Teacher and Quaker mystic Richard Foster, and now perpetrated as supposed Spiritual Formation with an able assist from his spiritual twin SBC minister Dallas Willard, was a core doctrine in the EC right from its hatching in hell. The book, however, is heavily laced with the teachings, and teachers, of mysticism and Roman Catholic traditions and rituals. 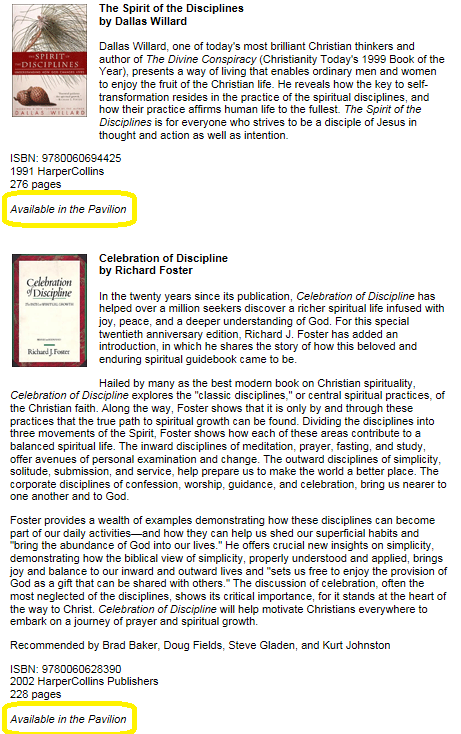 Notice that both of these books are made available to its flock by Saddleback, itself one of the most influential churches within the Southern Baptist Convention, the largest *cough* Protestant denomination in the U.S. Dr. Gilley has rightly referred to Foster’s magnum opus as a virtual encyclopedia of theological error. 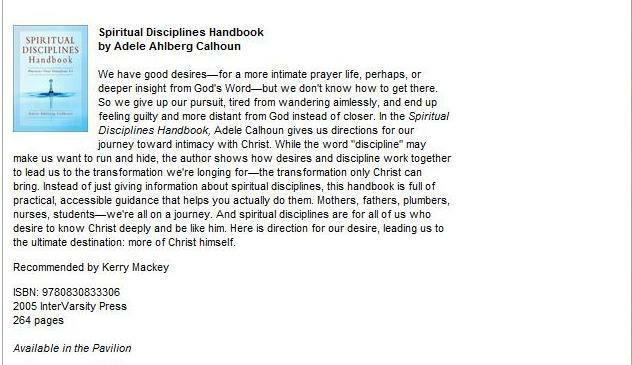 I guess other than that it’s a pretty valuable book for evangelical Protestants; such is the growing syncretism and spiritual blindness. Ah, but there’s more; you’re probably aware that Dr. John Piper has apparently taken it upon himself to rehabilitate Rick Warren’s rep for the Reformed community. 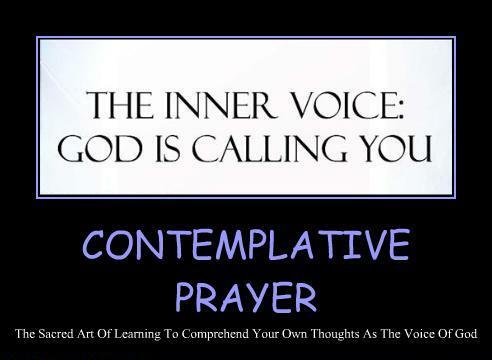 The other day in John Piper, Rick Warren & Foster-Willardism I pointed out that Foster’s Prayer: Finding the Heart’s True Home actually teaches us how do practice the crown jewel of CSM, a form of meditation in an altered state of consciousness commonly known as Contemplative/Centering Prayer (CCP), which was never taught by Jesus or His Apostles. I’ve also told you in previous AM posts such as Acts 29 Network And Reformed Counter Reformation Spirituality? and Mark Driscoll And Neo-Reformed New Calvinist Contemplative Spirituality, this CSM really is infiltrating the younger sector of the Reformed camp. And just what “profited” Dr. Keller from the “experience” of pastrix Calhoun (in violation of God’s Word) that he would wish to so “highly recommend?” Well, right on the back cover of her SDH Calhoun tells us this handbook of heterodox (at best) practices features “how to” information on CCP and Lectio Divina. As I peruse my personal copy of SDH I’m informed that I can learn how to “open myself to God” through the Examen of Counter Reformation figure Ignatius of Loyola, founder of that militantly pro-Roman Catholic Church spiritual Gestapo Unit aka the Jesuits; who weren’t real fond of Protestant Reformers. there has been a lot of talk with Warren being called a chameleon, and I certainly appreciate this commentary. There is abundant evidence for this conclusion. However, make no mistake, “chameleon” is just a nicer way of saying, “hypocrite” or “deceiver.” The interesting part is that the “chameleon” label is not just being applied by wing-nut discernment folk who also believe aliens give them Smucker’s for their toast every morning. It is also being applied by significant leaders in evangelicalism abroad to characterize Warren. As I begin to close this out, for now, I’ll tell you plainly that the concern needs to be the kind of fruit that this refried Roman Catholic mysticism invariably produces. Lord willing, and should funding allow, I plan to document further for you what CSM does to those who persist in it. Your biggest clues are 1) as it spread through the antibiblical monastic traditions of the Church of Rome, CSM played a major role in producing apostate Roman Catholicism in the first place; and 2) just take a look at what it’s done to those in the Emerging Church like its iconic rock star pastor Rob Bell, who’s now openly arguing for Christian Universalism through his Love Wins mythology. Most spiritual teachers link the inner observer [alleged true self] with a state of being they call presence, or in other words, an active awareness of Being itself [pantheism or panentheism]. 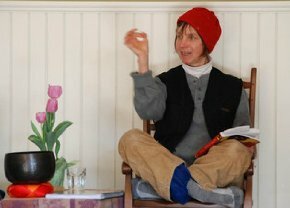 Rather than getting lost in the contents of consciousness (those “reactions, desires, and aversions” Tolle speaks of), you learn to pay attention to the field of consciousness as well—not just the boats [individual-self] floating down the river, but the river itself [God-self]. Which now begs the question: Why are Christians, who ostensibly have a personal relationship with God in Christ, now having to turn to Buddhists, who may or may not even believe there is a God, in order to learn about Christian spirituality? You might want to consider this: With today’s barely even pretending to be Protestant evangelical community we have now come full circle in turning to pagans, and adopting their spiritual practices. This is precisely what those original apostate desert hermits in the third century would do; and through John Cassian their mystic musings would then go on to flower in the aformentioned Roman Catholic monastic traditions. Again, bottom line: That deceptive subjectivism would eventually lead to the Protestant Reformation; but unfortunately, this time I don’t see any Reformers, just joiners. I’ve been warning you, in no uncertain terms, that it’s well past time for recognizing the inclusive—and increasingly universal—fruit of the Emerging Church, and of the spiritual skubalon of Foster-Willardism. You see, they go hand-in-hand; all who dabble in this mysticism eventually begin to believe God is trying to bring unity and all Christian factions together. 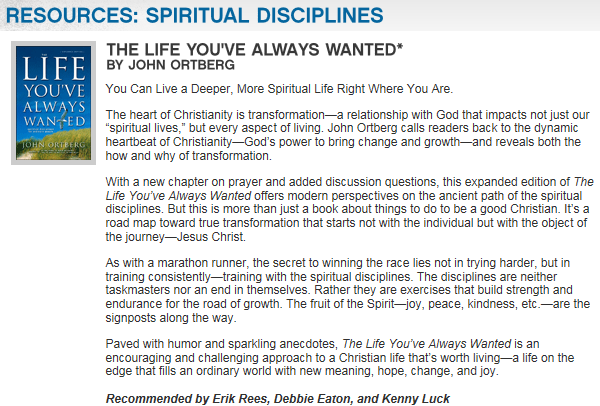 Is it any wonder we see Saddleback Church Of Rick Warren Using Rob Bell Teachings? You really can’t see that those in the Emerging Church on the wild goose chase after another spirit are merely a little farther down the path than the Ortbergs and the Warrens are, for now? You mean to say you haven’t noticed the drastic drift of neo-Gnostic mystics like Rob Bell over the past few years resulting in his ear-tickling Love Wins mythology? I’m telling you, from years of studying mysticism, be it from Living Spiritual Teacher and Roman Catholic priest Richard Rohr to Sufi Islam to Hinduism, all mystics eventually end up in love with mankind; and then later finally shipwreck upon the reef of universalism. It should be quite obvious that the Apostles and other early Christians were not martyred for encouraging questions; no, they were murdered for offering Jesus as the only answer to man’s sin problem. Let me warn you, as evangelicalism drifts deeper into mysticism you’ll see more people laying aside answers, i.e. doctrinal distinctives, in order to join The Emerging Church On Its Wild Goose Chase. This is because God is sending 1 Peter 4:17 judgments upon this gelatinous generation and allowing spiritual darkness to increase. A word to the wise among us, it has now become Critical To Know Your Bible! Next time I’ll give you yet another peek at the future of evangelicalism if its younger sectors, from years of propaganda from Foster-Willardism and by Emergent leaders like universalist Emerging Church pastor Doug Pagitt, continue on their current course. Peter Scazzero, The Emotionally Healthy Church [Grand Rapids: Zondervan, 2003], 144.